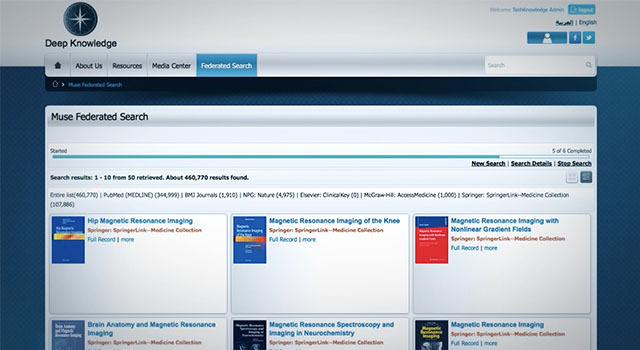 You will find here answers and links to knowledge base articles covering the common issues..
DeepKnowledge™ is a full-fledged web based e-library system that allows content access, management, search and deliverability. It empowers hundreds of thousands of end users and a multitude of medical, academic and corporate institutions in the middle-east and North Africa. Federated search is the technology of simultaneously searching multiple content sources from one search user interface and aggregating the results into a single results page. Federated search engines sometimes perform additional functions such as removing duplicates from the results lists, ranking content like articles against one another or combining search results by subject and content type. 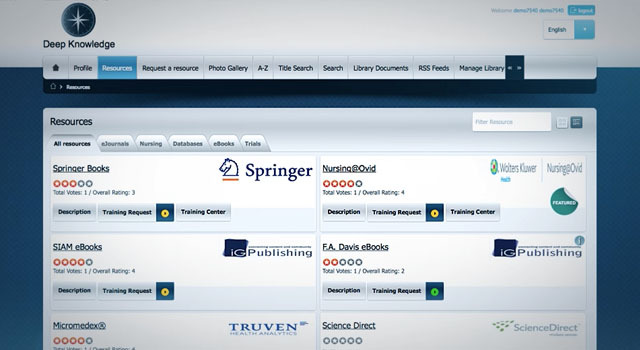 DeepKnowledge™ has currently partnered with the leading search providers such as Muse Global , Serial Solutions , EBSCOhost and Deep Web Technologies in order to provide a seamless integration with the most advanced federated search services available, with a portfolio of over 10,000 connectors. If you currently subscribe to one of these products please get in touch with support@techknowledge.ae in order to activate your integration for FREE. In order to register, simply fill the registration form , click on submit, open your mailbox and click on the activation link that you have received. Please make sure that the username you have provided during the registration is a valid email address, otherwise you will not be able to activate your account. I did not receive any activation email, what should I do? If you didn’t receive the activation email, it is mostly due to restrictions in your email client. Check your Junk emails folder, make sure that you add noreply@deep-knowledge.net to your safe list and request another activation email here. I registered but it says that I need to wait for the library administrator to review and activate my account.? Any person who is part of Gulf Medical University- جامعة الخليج الطبية should be able to register. Please get in touch with your library administrator for more details in regards to any particular requirements or limitations that could apply to the e-library registration. Simple! Go to password reset page , enter the email address you registered with and you should receive instructions by email on how to reset your password. I have a problem that is not listed in the FAQ, who can help? Get in touch with your librarian, there is high chance that he would be able to provide you the information you need. We are also here to help! Fill up the support enquiry form and one of our DeepKnowledge specialists will assist you. Can I access the e-library from home or while I am travelling? Of course! 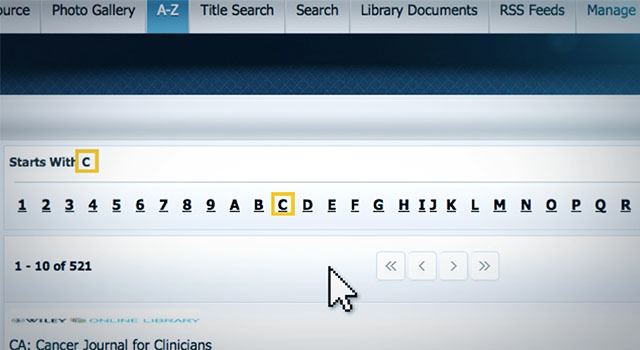 All your institution subscribed content that is available on the e-library portal is remotely authenticated, which means that you simply have to login using your account in order to get access to the same content. If you are having trouble viewing a particular resource or database, please get in touch with us by filling the support form . Where can I download the user guide? We maintain an online documentation that reflects changes to the e-library platform as well as the addition of new features. You can access the online knowledge base here . See What is New ! Login now If you are a registered user, please login first in order to use your current profile details (name, email or username, institution or branch) and avoid having to enter your personal details on the form below. Please let us know in case you have any enquiry or difficulties, we will be glad to assist you. Just make sure you fill all the details and hit the submit button and our support team will get in touch with you within the next 2 working days. If you are a registered user, please provide your username and a valid email we can use to get in touch with you. This website (referred hereinafter as 'DeepKnowledge™') has been designed and developed and is operated and managed by Techknowledge (referred hereinafter as 'Provider'). Techknowledge may modify these terms at any time. The modified Terms and Conditions of Use shall be effective upon posting. Any use after modification, registration or/and login to the Website included, constitutes acceptance of the new modified Terms and Conditions of Use and that you are legally bound by them. This license shall automatically terminate if you violate any of these restrictions and may be terminated by DeepKnowledge™ at any time. Upon terminating your viewing of these materials or upon the termination of this license, you must destroy any downloaded materials in your possession whether in electronic or printed format. Each user is personally and solely responsible for all actions and transactions made through his/her account. You are responsible for maintaining the confidentiality of your password and you should ensure that you exit properly from your account at the end of each session. In case you notice any unauthorized use of your account or any other (real or potential) breach of security, you have to immediately notify the Website’s administrators or/and Techknowledge customer support department. DeepKnowledge™ is under no circumstances liable for any loss or damages arising from your failure to comply with this term. DeepKnowledge™ maintains the right to delete an account, if violation of any of these Terms is proved. 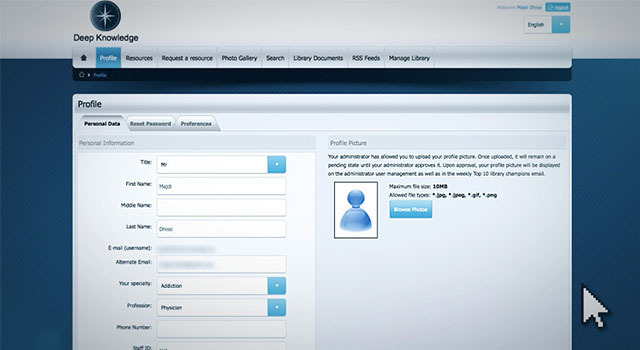 DeepKnowledge™ keeps a File of Personal Data of its registered users, according to Law. Data stored at the Website’s Database is exclusively the data that you provide upon registration. The purpose of this data collection is their storage on a server, for your identification by the server and your access to the pages and services of DeepKnowledge™. Your Personal Data are not transmitted to third parties. By accepting these Terms and Conditions of Use you also allow DeepKnowledge™ to process your Personal Data. You have the right to delete, reform, modify and update your Data. You can at any time deactivate your account by contacting us. You may contact us for any other information or objection you may have on data processing. Your e-mail address will not be used to send unsolicited commercial messages (spam). Newsletters or other informative mail may be sent from DeepKnowledge™ and you institution library administrative staff unless you explicitly oppose to this by choosing not to receive notifications during account registration or later on via your preferences settings page. DeepKnowledge™ as a work of Intellectual Property is protected by the UAE Law for Intellectual Property, as modified and in force today and by the international treaties and conventions. Techknowledge and his partners maintain the exclusive Intellectual Property Rights upon design, source code and the whole content of the Website (including pictures, graphics, photos, designs, texts, articles, scientific presentations and the services provided by the Website), except where explicitly stated otherwise (e.g. photographs uploaded by the institution subscriber). Violation by any means of these rights will draw the subsequent penalties and liability defined by the applicable law. Indicatively, and non-exclusively, copying, modifying, publishing, distributing by any means of the Website’s content without prior written permit of the Provider is prohibited. Furthermore copying, modifying, decompiling or by any means unauthorized use of the Website’s software is prohibited. 'DeepKnowledge™' trademark and all trademarks appearing on the Website are property of the Provider and/or third parties, companies / respective owners and are protected by trademark laws, as well as by international treaties and conventions. Use of these trademarks is by all means prohibited. Photographs on DeepKnowledge™ are presented freely to the public, as additional informational content of the Website. Do not copy photos or images from any other source unless you have an explicit permission by the copyright holder. It is strictly forbidden to copy any material from this Website and use it elsewhere, unless the copyright holder gives its explicit permission. DeepKnowledge™ reserves the right to provide access to photos to third parties through the website, to be incorporated on their services. The third party does not acquire any right to the photographs and can only display them on-the-fly by using a web link of a photo stored on DeepKnowledge™ e-library portals. The name of the Photographer or the reference to the copyright holder will remain visible at all times. Provided that you comply with the present Terms and Conditions of Use, DeepKnowledge™ grants you an exclusive, non-transferable right to access the Website and its services for the purposes mentioned in the Terms and Conditions of Use. Other uses of DeepKnowledge™ that oppose to the present Terms and Conditions of Use are strictly forbidden. 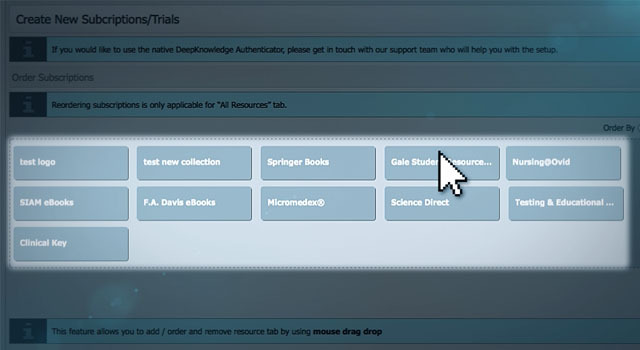 The content, information and materials on DeepKnowledge™ Website are provided 'as is'. DeepKnowledge™ makes no warranties, expressed or implied, and hereby disclaims and negates all other warranties, including without limitation, implied warranties or conditions of merchantability, fitness for a particular purpose, or non-infringement of intellectual property or other violation of rights. Further, DeepKnowledge™ does not warrant or make any representations concerning the accuracy, likely results, or reliability of the use of the materials on its Internet Website and other services or otherwise relating to such materials or on any sites linked to this Website. DeepKnowledge™ does not guarantee the correctness, validity or scientific accuracy of the information contained on the Website, provided in any possible form, such as images, video, text, graphics etc. Consequently, the Provider, the administrators of DeepKnowledge™ Services and their partners cannot provide any type of guarantee neither are responsible for the correctness, validity, thoroughness and accuracy of that information published, nor for the suitability of their usage for purposes other than informational only. However, in the case of DeepKnowledge™ partner's content, the individual Terms and Conditions of Use take over this chapter whereby the partner may have a different service level agreement and limitation of liabilities. Due to the nature and to the extent of information provided through the Internet, under any circumstances, negligence included, the Provider will not be held liable for any kind of damages you may suffer from the use or visit of the Website, services, choices and content of DeepKnowledge™. You visit the above content and services at your own initiative and risk. Alter or delete information not provided by you, or interfere with the operation of this Website including, but not limited to, by distribution of unsolicited advertising or mail messages or propagation of worms, viruses and the like. By providing and submitting Data or material to DeepKnowledge™, you automatically agree to permit other registered users from your institution to access, view, download or reproduce the material for any use permitted by DeepKnowledge™. The contents, services and software of DeepKnowledge™ are provided on an 'as is' and 'as available' basis with no explicit, or presumed in any way, guarantees concerning the Website's marketability, non infringement or suitability for a particular purpose. DeepKnowledge™ offers no guarantee that the pages, services, functions, choices and content of the Website will be provided without interruption or without errors or that mistakes will be corrected, except those listed and explicitely described in the Service Level Agreement document and agreement signed between your institution and Techknowledge. In no case will the Provider, the persons associated to him or the administrators of DeepKnowledge™ Services be liable to you or any other person or entity for any indirect, incidental, special, punitive or consequential damages or loss of profit or revenue caused by the use of the Website. The materials appearing on DeepKnowledge™'s web site could include technical, typographical, or photographic errors. DeepKnowledge™ does not warrant that any of the materials on its web site are accurate, complete, or current. DeepKnowledge™ may make changes to the materials contained on its web site at any time without notice. DeepKnowledge™ does not however make any commitment to update the materials. DeepKnowledge™ has not reviewed all of the sites linked to its Internet web site and is not responsible for the contents of any such linked site. The inclusion of any link does not imply endorsement by DeepKnowledge™ of the site. DeepKnowledge™ may include links that lead to other websites, which are controlled by third parties. Under no circumstances will DeepKnowledge™ be liable for their content, or for any financial or other type of loss or damage the user that follows those links sustains. In no case does DeepKnowledge™ guarantee that these links will be temporarily or constantly active. Furthermore, the external links cited are indicative and not exclusive or restrictive. DeepKnowledge™ reserves the right to remove or add links without any warning to any party and to change the contents of the Website at any time. Your using of DeepKnowledge™ signifies your understanding and acceptance of the fact that the Provider is in no case responsible for the content of the hyperlinks cited in the Website, for the products/services being offered there and for the advertisements they contain. Any claim relating to DeepKnowledge™ web site shall be governed by the laws of the country of UAE without regard to its conflict of law provisions.